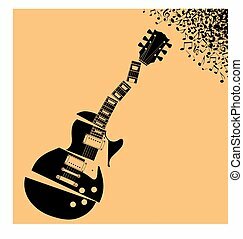 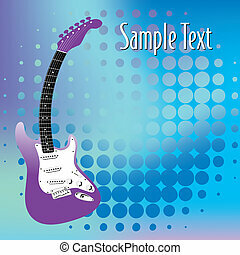 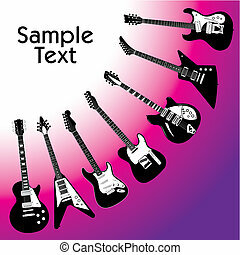 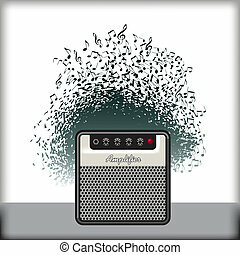 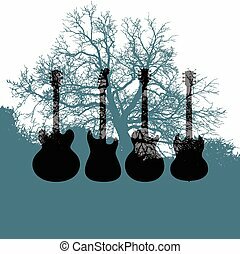 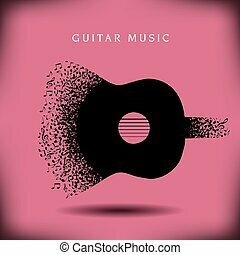 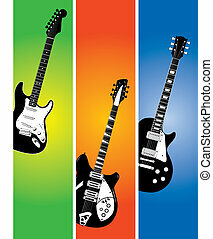 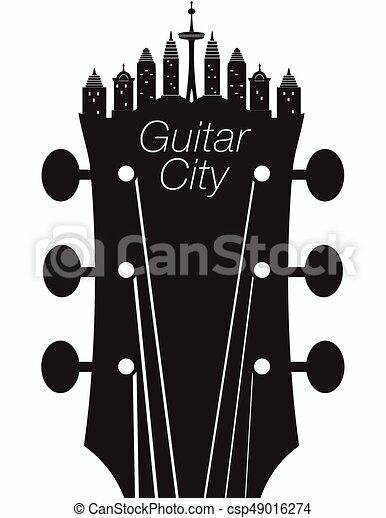 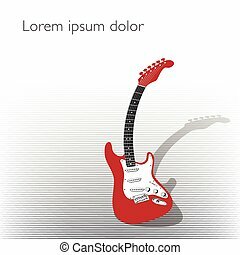 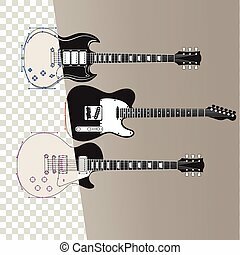 Creative guitar city music background with a headstock. 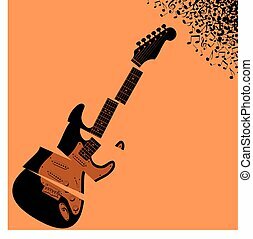 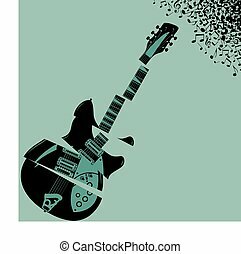 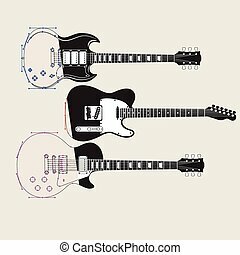 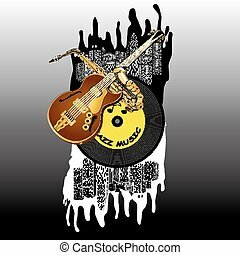 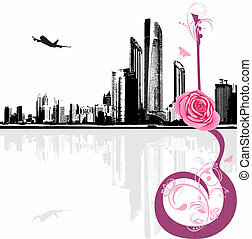 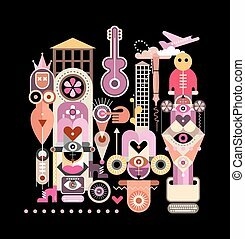 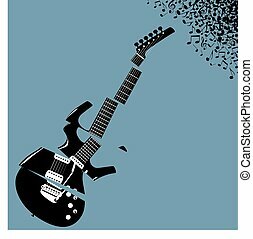 vector illustration jazz guitar with a saxophone on the background of vinyl and cities in two projections. 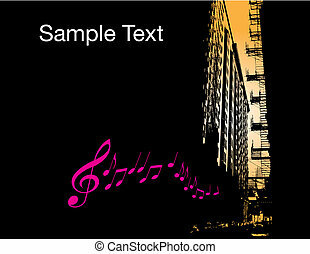 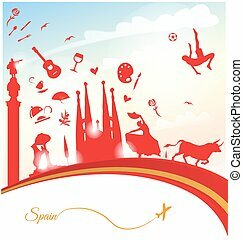 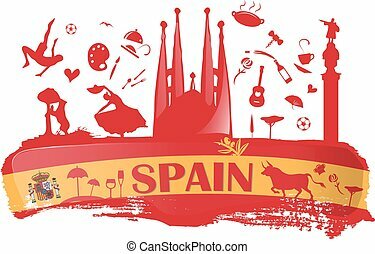 It can be used as a template for the posters or other work, as well as separately.